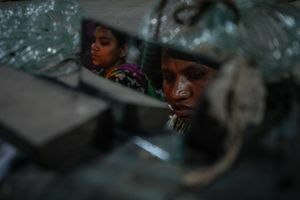 A mixed group of young and experienced females work in the glass bangle factory near the city of Dhaka. 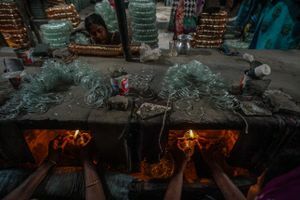 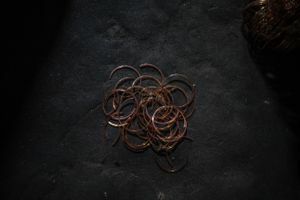 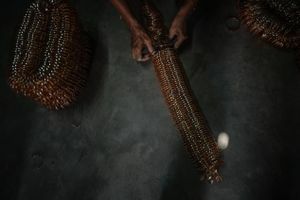 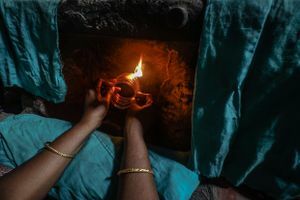 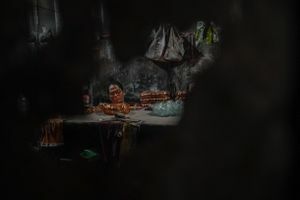 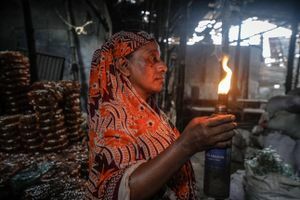 This factory does only one part of the total process, where women work in heat to melt glass and reconnect the bangles. 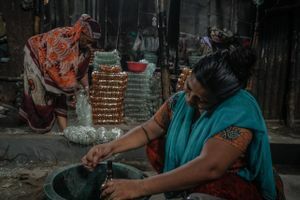 The below average wage is not a point of complain coming from the works as these females consider this is an extra income while they can do other household activities. 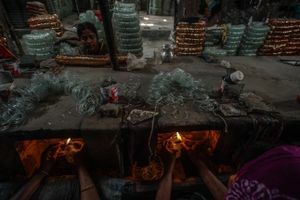 However the plight of the working place is inferior and risky as these workers are working with fire without proper protection and precautions. 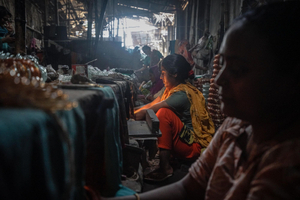 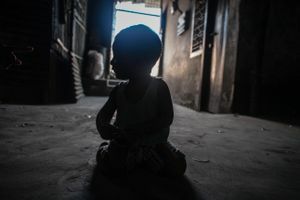 Mothers are working here while kids are roaming around the place where their mothers working. 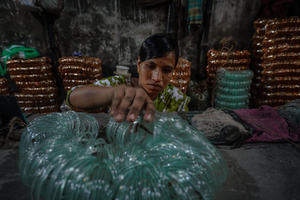 Glass bangles are traditional ornaments worn mostly by South Asian women in India, Nepal, Pakistan and Bangladesh. 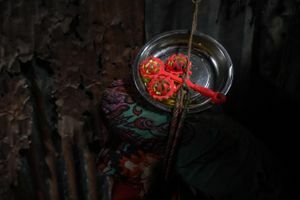 It is common to see a new bride wearing glass bangles at her wedding.